Extra warmth for chilly fall days, with dual patterns and intricate cutouts. 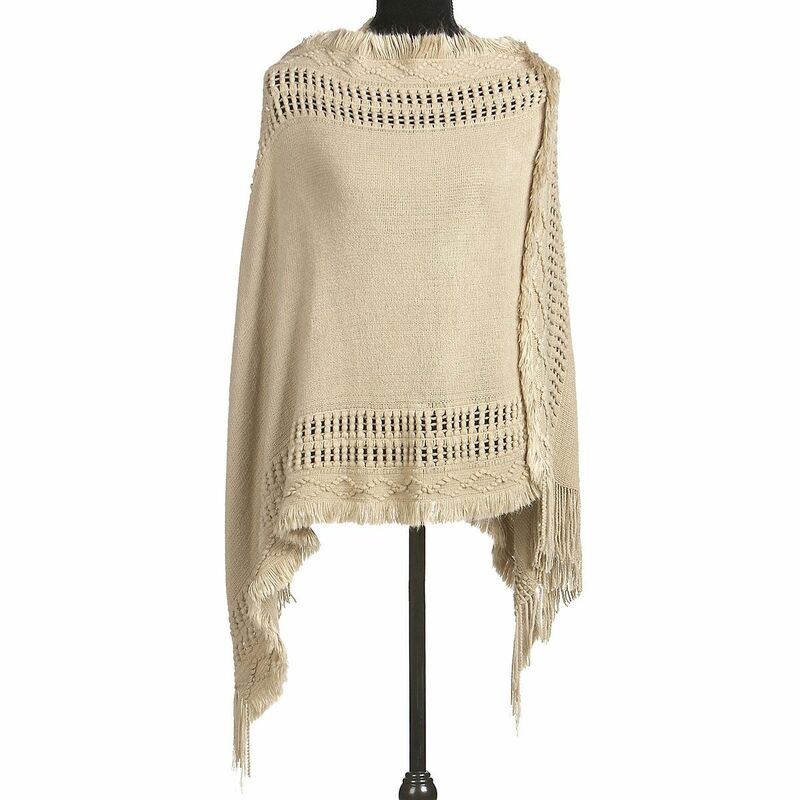 Shawl in 34" from neck to hip; neck is 12"W; 37"W when laid flat. 100% acrylic kint. Hand wash cold. No bleach. Hang to dry. Do not iron. Imported.